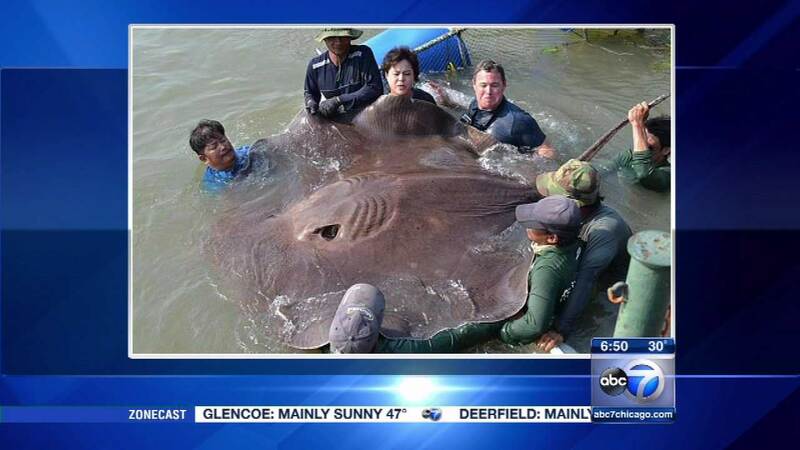 BANGKOK (WLS) -- A giant car-sized stingray discovered by researchers in Thailand may be the largest freshwater fish ever documented. Nicknamed the "big one," the ray is 14 feet long - and between 700-800 pounds. Researchers did an ultrasound, and that the ray was pregnant. It was eventually released back into a river near Bangkok.